A Calgary aviation museum is hoping a final holiday push for donations will secure the future of a Canadian aerospace icon. 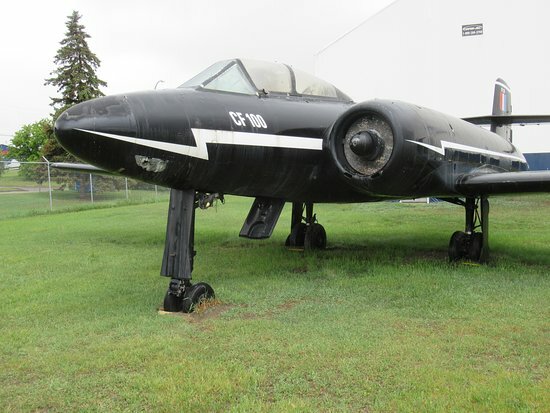 The Hangar Museum has been displaying a CF-100 Canuck, owned by the city of Calgary, for decades at its Calgary premises but it’s severely corroded. The city of Calgary has agreed to pay 75 percent of the $325,000 cost to restore the aircraft to museum static display standards. The Hangar Museum is now busy collecting donations to meet its $82,000 share of the cost by the end of the year. Once complete, the aircraft would have a place of honour indoors and be available for decades to come. The aircraft in question is an early model of the Avro interceptor that was Canada’s front-line defence in the early days of the Cold War. It is the only Canadian fighter to be mass produced. The Calgary Canuck was the 26th of 692 built and is a Mk 3A, the oldest example of that model. It was assigned to the operational training unit in Cold Lake in 1955, so it’s been in Alberta for 63 years. Donations are being accepted at the Inspire Dreams of Flight section of the museum Web site.